Professor Cooper's research is on modern and contemporary Italian cinema and culture, with a focus on the relationship between narrative film and place. Recent articles examine the phenomenon of cinema all'aperto, or open-air cinema, and the connections films make between stars and particular places such as Rome. Other essays focus on specific films like Romanzo criminale (Michele Placido, 2005) and Certi bambini (A Children's Story, Andrea and Antonio Frazzi, 2004). 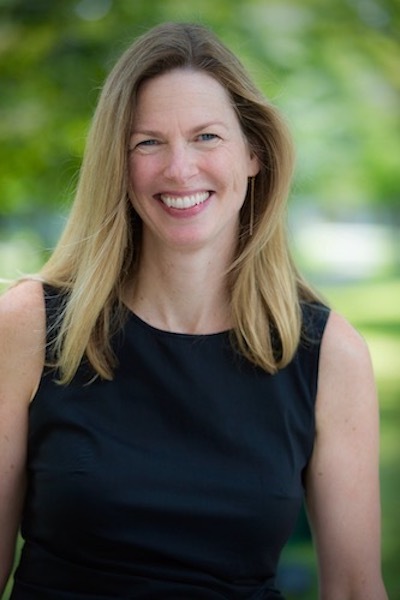 Professor Cooper's research interests also include Italian modernism and the Italian writers of the World War I and interwar periods: she has published essays on the trench poetry of Giuseppe Ungaretti and on the Fascist-era fiction of Paola Masino. She is currently at work on Cinematic Rome between the Sacred and the Profane, a book-length analysis of filmic representations of Rome and their treatment of the city’s dual identity as capital of the Catholic Church and capital of the Italian state. In addition to her work on Italian cinema, she directs Kinolab, a digital humanities project for the analysis of narrative film and media. Professor Cooper teaches courses in Bowdoin's Cinema Studies and Italian Studies programs, including Film Narrative (CINE 1101), Italy's Cinema of Social Engagement (CINE/ITAL 2553), and Divas, Stardom, and Celebrity in Modern Italy (CINE/ITAL 3077); along with courses at all levels of the Italian language program. From 2013 to 2018, Professor Cooper served on the executive committee for the Modern Language Association's Forum on 19th and 20th-Century Italian Language, Literature, and Culture. She is currently Vice President of the Maine Film Association. “Performing Rome.” In “Acting and Performance in Italian Screen Studies.” Ed. Catherine O’Rawe and Dana Renga. 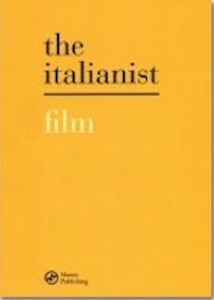 The Italianist Film Issue. Ed. Charles Leavitt, Catherine O’Rawe, and Dana Renga. 37.2 (2017): 263-267. 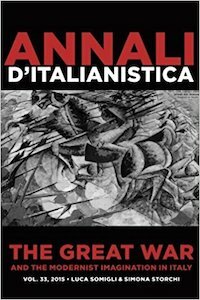 “Giuseppe Ungaretti’s Disanimate Modernism.” In Annali d’Italianistica. Ed. Luca Somigli and Simona Storchi. Vol. 33, 2015: 99 – 115. “Roma, Caput Violandi” and “Conclusion.” In “Italy’s Other Mafias in Italian Film and Television: a Roundtable.” Ed. Dana Renga and Allison Cooper. 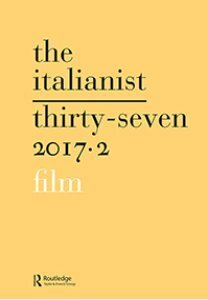 The Italianist Film Issue. Ed. Alan O’Leary. 33.2 (2013): 204-206, 229-230. 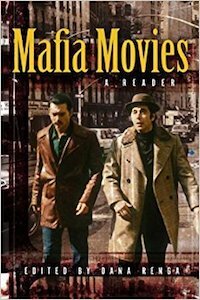 “Growing up Camorrista: Antonio and Andrea Frazzi’s Certi bambini.” In Mafia Movies: A Reader. Ed. Dana Renga. Toronto: University of Toronto Press, 2011. Pp. 346 – 353. 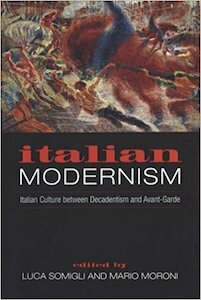 “Gender, Identity, and the Return to Order in the Early Works of Paola Masino.” In Italian Modernism: Italian Culture Between Decadentism and Avant-Garde. Ed. Mario Moroni and Luca Somigli. Toronto: University of Toronto Press, 2004. Pp. 379 – 399. Co-translator. 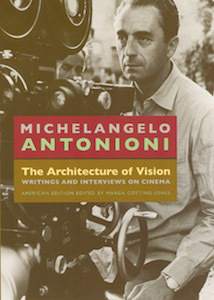 Michelangelo Antonioni, The Architecture of Vision: Writings and Interviews on Cinema. Ed. Marga Cottino-Jones. New York: Marsilio Publishers, 1996. Reissued by University of Chicago Press, 2007. “From Netflix Quantum Theory to Enhanced Video Analysis: Developing DH Tools for Screen Studies,” Sadler Seminar on Digital and Quantitative Methods for the Study of Screen Cultures, University of Leeds, May 2017. 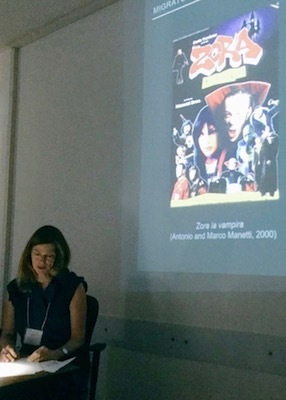 “Migratory Nightmares in Contemporary Italian Horror Cinema,” Innovations and Tensions: Italian Cinema and Media in a Global World, 1st International Conference of the Journal of Italian Cinema and Media Studies, Rome, June 2017. Roundtable on the Current State of Digital Humanities and Italian Studies (Session Organizer and Co-Chair), Modern Language Association Conference, Philadelphia, January 2017. “Performing Rome,” American Association for Italian Studies Annual Conference, Baton Rouge, April 2016. The Ideological Space(s) of Italian Cinema and Television (Session Organizer), Modern Language Association Conference, Austin, January 2016. “The Second Fall of Rome: Argento’s La terza madre in the Tertio Millennio,” Cinema & History: Time, Memory, Identity in the Images of the New Millennium; Roma Tre Università degli Studi, Rome, November 2015. Memorializing Italy (Session Organizer), Modern Language Association Conference, Vancouver, January 2015. NULab Omeka and Neatline Workshop (Participant), Boston, Northeastern University, April 2014. Digital Humanities Short Course (Participant), Digital and Computational Studies Initiative, Brunswick, Bowdoin College, January 2014. Introduction to Digital Humanities Faculty Retreat (Participant), Northeast Regional Computing Program, Endicott House, Dedham, MIT, August 2013. “Pasolini’s Sacred and Profane Mamma Roma,” Rome’s Modernity: Trauma, Fracture, Narration; the British School at Rome, October 2012. “Italy’s Other Mafias in Film, Television and Other Medias,” Roundtable Discussion, American Association for Italian Studies XXXII Annual Conference, Charleston, May 2012. “Building a Symbolic Capital: The Monumental Planning of Modern Rome,” The Postmodern Palimpsest: Narrating Contemporary Rome, Coventry, The University of Warwick, February 2011. “Technology, The Great War, and Literary Apocalypses from Mafarka il futurista to La coscienza di Zeno,” Apocalissi: Eschatological Imagination in Italian Culture, from Dante to the Present, Cambridge, Centre for Research in the Arts, Social Sciences and Humanities, University of Cambridge, October 2009. Professor Cooper is the creator and director of Kinolab, a digital humanities project for the analysis of narrative film and media. Kinolab enables new approaches to the study of moving images by harnessing the kind of computational power that has been brought to bear on more traditional, literary texts, building off distant reading practices and developing new methodologies and technologies geared toward distant viewing. At the project's core is an expanding digital collection of motion picture and show clips enriched with metadata responding to a wide range of research questions and methodologies related to both film form and content. In its current, beta build, Kinolab is primarily intended to serve as a resource for cinema students and faculty seeking curated examples of film’s formal elements, from mise-en-scene and cinematography to editing and sound. As its crowd-sourced collection of clips grows, Kinolab has the potential to become a powerful tool for diachronic and synchronic studies of cinema. Clips in Kinolab have been curated by Allison Cooper and by the project's student curator (Shani Agarwal, '20), along with students in Bowdoin's Cinema Studies Program. The project is supported by Bowdoin's Academic Technology and Consulting unit and by the College's Digital and Computational Studies Initiative. Visit Kinolab by clicking on the image below. Please note that first-time users must request access by clicking on the 'register' button on the site's home page. Motion pictures reflect and influence the stories we tell about our society and ourselves; they also transport us far from our familiar world via their universal language of images, bridging geographic, political, economic, and racial divides. A key factor in film’s global success lies in its ability to draw us into its world with very little effort on our part. This apparent effortlessness, however, belies careful decisions by directors about their films’ compositions and structures, as well as strategic decisions by producers and distributors regarding the production, distribution, and marketing of movies. 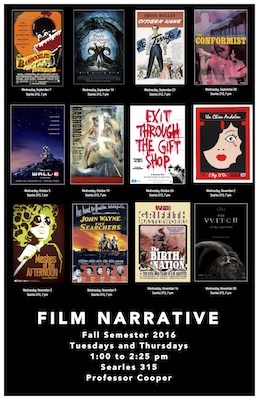 Film Narrative introduces students to a variety of motion pictures from different countries and time periods, emphasizing the fundamental elements and strategies of film as a medium and the contextual factors that shape our experiences of the movies we watch. An introduction to Italian cinema with an emphasis on Neorealism and its relationship to other genres, including Comedy Italian Style, the Spaghetti Western, the horror film, the "mondo" (shock documentary), and mafia movies, among others. Readings and discussions situate films within their social and historical contexts, and explore contemporary critical debates about the place of radical politics in Italian cinema (a hallmark of Neorealism), the division between art films and popular cinema, and the relevance of the concept of an Italian national cinema in an increasingly globalized world. No prerequisite required. Taught in English. (Films screened in Italian with English subtitles). Before there was Beyoncé there was Borelli; before Clooney there was Mastroianni; before Trump there was Berlusconi. The diva derives from Italy’s nineteenth-century opera, silent film, and Catholic culture. Today, she has evolved into a secular alternative to traditional female religious icons such as the Madonna and the Magdalene. Alongside the figure of the diva is that of her historical male counterpart, the divo, initially a sort of demigod in early Italian cinema who has now come to reflect contemporary Italy’s crisis of masculinity. Beyond their origins and evolution, the diva, divo, and modern star can ultimately be defined as performers who know how to play any role while superimposing their own image onto a character. 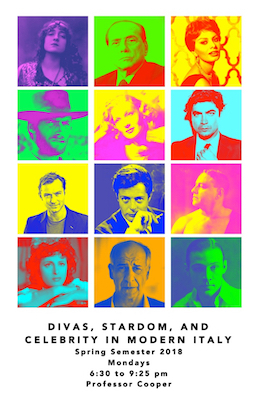 “Divas, Stardom, and Celebrity in Modern Italy” examines in detail the question of how those images have been constructed, transmitted, and received from the late nineteenth century to the present day. Prerequisites include one prior Cinema Studies course (or course cross-listed with Cinema Studies) or permission of the instructor (acooper@bowdoin.edu). Taught in English (films screened in Italian with English subtitles). Life at Bowdoin keeps the college community pretty busy: sometimes so much so that we forget we are surrounded by beautiful coastline and rolling countryside! The routes described below are personal favorites: run them in all seasons and you will cultivate a deep appreciation of Maine’s constantly changing natural beauty. Whether you are a new runner looking for flat, easy routes close to Bowdoin or an experienced distance runner looking for more challenging routes to take you further afield, there is something here for you! And if running isn’t your thing, all of these routes are equally accessible by bicycle. They all start from Bowdoin’s Edwards Center for Art and Dance (21 Longfellow Avenue) and, with the exception of the last route, they are all loops that will bring you back to where you started. Note that most of these routes include rural or semi-rural roads with narrow or no shoulders, so please exercise caution and practice safe running habits: run in the daylight, don’t run with earphones (or, if you must, turn the volume down), and run against traffic so you can see oncoming cars. Easy, flat, suburban route close to Bowdoin that briefly crosses the Brunswick Town Commons trail system as you leave Meadowbrook Rd and head toward Bowdoin's soccer field. Easy, flat, suburban route close to Bowdoin that briefly crosses the Brunswick Town Commons trail system at the end of Melden Dr and again as you leave Meadowbrook Rd and head toward Bowdoin's soccer field. Relatively easy route along rural and suburban roads with gentle hills. Relatively easy route along rural and suburban roads with gentle hills, includes the historic Pennellville district with its beautiful ship captains' mansions. Somewhat hilly route along rural and suburban roads, including the very picturesque Raymond Road. Relatively easy route along rural and suburban roads with gentle hills, includes the historic Pennellville district with its beautiful ship captains' mansions and a quick out and back to Simpsons Point. Hilly route along primarily rural roads with beautiful water views at Woodside and Rossmore. Somewhat hilly route along primarily rural roads, includes the historic Pennellville district with its beautiful ship captains' mansions and a quick out and back to Simpsons Point with additional water views along Rossmore. Hilly route along primarily rural roads with beautiful water views at Bunganuc Landing and Woodside. Somewhat hilly route along suburban and rural roads with multiple beautiful water views at Bunganuc Landing, Woodside, and Rossmore. Very hilly one-way route along primarily rural roads with water views at Porter Landing and along S Freeport Rd.